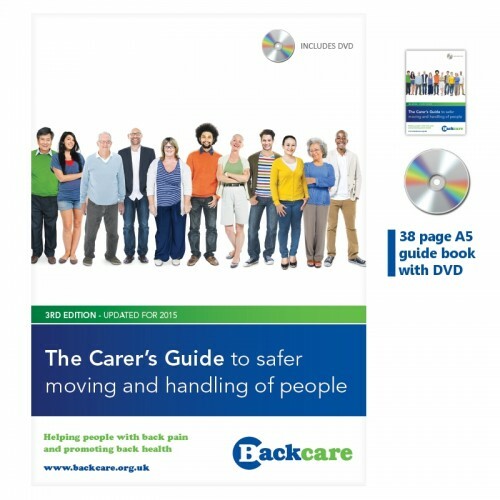 The Carer’s Guide is designed to inform non-professional / unpaid carers on best practice in manual handling technique. Based on HOP6 – the leading national training text, as used to train UK nurses and paramedics – as recognised by the Royal College of Nurses and others. The 3rd edition is a 40 page A5 guide book and comes with a DVD. It has been updated in 2016 to include advice about dealing with stress. Today in the UK, more than 1 in 10 of us are an unpaid carer, looking after a friend or family member with illness or disability. Unpaid carers save the nation a staggering £119 billion every year – that’s more than entire NHS budget. Replacing just one injured carer costs Social Services thousands of pounds. Unpaid carers are a particularly at-risk group due to the physical and psychological factors involved and often present to healthcare services as secondary patients.Fortunately, prevention is now a legal obligation of Councils following the Care Act 2014 and the Children and Families Act 2014 which came into effect in April 2015. The BackCare Community Champion award is given in recognition of Councils and carer organisations who invest in back pain prevention for their carer community through the provision of The Carers Guide. moving and handling awareness training to unpaid family carers in Fife since 2003.